Drake showed off his solid gold pair of OVO Jordan 10s. 20. 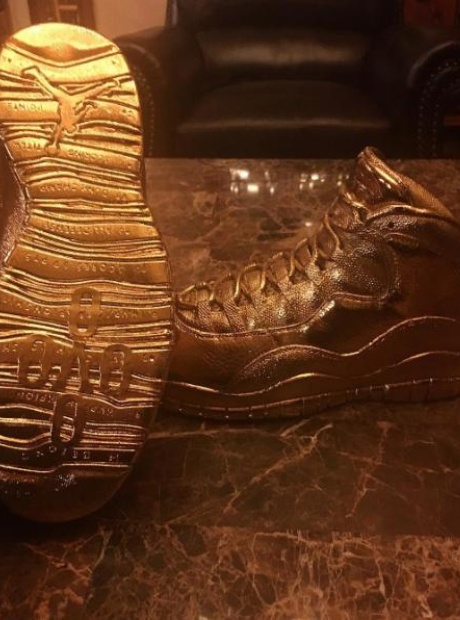 Drake showed off his solid gold pair of OVO Jordan 10s.